Long stuck in fourth place, T-Mobile made itself a relevant mobile player in the United States again on Tuesday, with plans to rapidly roll out its 4G LTE network and offer bargain plans with no contracts to entice potential customers. Oh, and it now offers that quaint little device called the iPhone 5. Though T-Mobile has only activated the 4G network in Baltimore, Houston, Kansas City, Las Vegas, Phoenix, San Jose, and Washington D.C. for now, the company plans to gradually expand coverage to 200 million people by the end of the year. 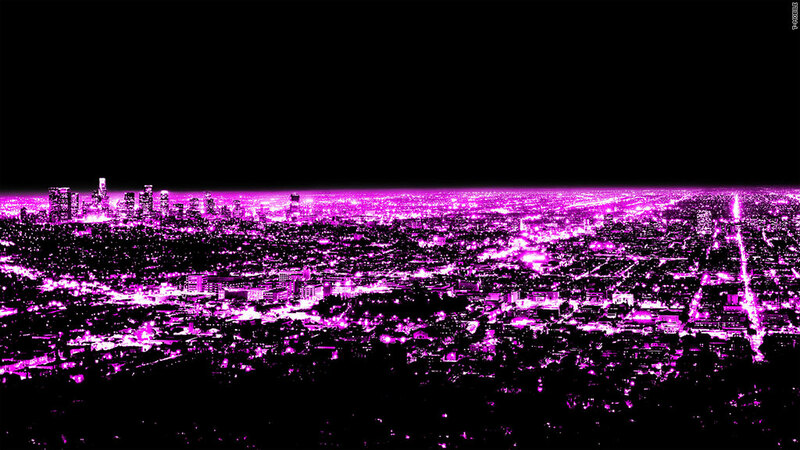 T-Mobile's rollout will run on its existing HSPA+ network, which has theoretical data download speeds that are faster than the LTE networks of AT&T and Verizon (VZ). T-Mobile also claims it has 50 percent more bandwidth than AT&T (T), which in a perfect world would mean that it could handle more people and suffer less of a performance hit. All of this, mind you, is apparently without the added spectrum it is going to get from its pending acquisition of MetroPCS. But technical touts aside, T-Mobile is pairing this rollout with an aggressive pricing plan for consumers which tosses contracts to the side but requires consumers to pay full price for their phone. Phones can be paid in full up front. Eligible consumers can also put $99 down, and pay $20 a month over two years. Once that phone is fully paid for, T-Mobile will unlock the phone with no questions asked, allowing users to select any carrier they wish. Conversely, many unlocked phones from other carriers, including the iPhone 5 and 4S will be accepted and fully compatible with T-Mobile's network. Mobile plans cost either $50, $60, of $70 a month, providing unlimited voice and text with 500 megabytes, 2 gigabytes or unlimited data, respectively. T-Mobile CEO John Legere insists its customers will save money in the long run because its plans are cheaper. In truth, the cheapest AT&T plan costs a little less over the span of two years than the cheapest T-Mobile plan with a new iPhone 5 from Apple (AAPL). But when you make the bump past the cheapest plans, the value of T-Mobile's unlimited offerings rises -- especially considering that data tethering is thrown in for free. All of this makes T-Mobile sound like a very alluring option for those currently disgruntled with their carriers. The big wild card will be whether the T-Mobile network can live up to its performance claims.